This month marks our repatriation to The Land Down Under - happy, sad, cold, and sunny - a true Aussie winter! This gorgeous family is soon to be 4! So much family love this month! Featuring some returning fave clients, newborns (did i mention twin newborns?!?!?!) and yet more farewells.....sniff. The second time I've had the pleasure of photographing this beautiful family. Always smiling, always treating each other with tenderness and respect. When I grow up, I want to be this family. Complete with grandparents visiting from the United States. See the piglet? He was her mom's favourite when she was a baby. I try not to tear up on my clients, but these guys had me reaching for kleenex. A baby shower and maternity session bundled into one amazing day. Taken just a few days before the mum-to-be jumped on a plane back to Oz. New arrivals to Manila, these guys had been in hotels for almost two months - I take my hat off to them and their hardworking mother. You guys got what it takes. See the littles one? I photographed her at just a few days old. So lovely to see these three musketeers growing together. My first ever newborn twins!!! I'll admit, some sleepless nights led up to this shoot, and a lot of time spent on Creative Live. A pigeon pair - and every part perfect. Yet another Farewell session - are you seeing a pattern forming? This family is off to Moscow, by way of Athens and Manila. These two little tigers were thick as thieves, and did an amazing job on an extremely hot day! 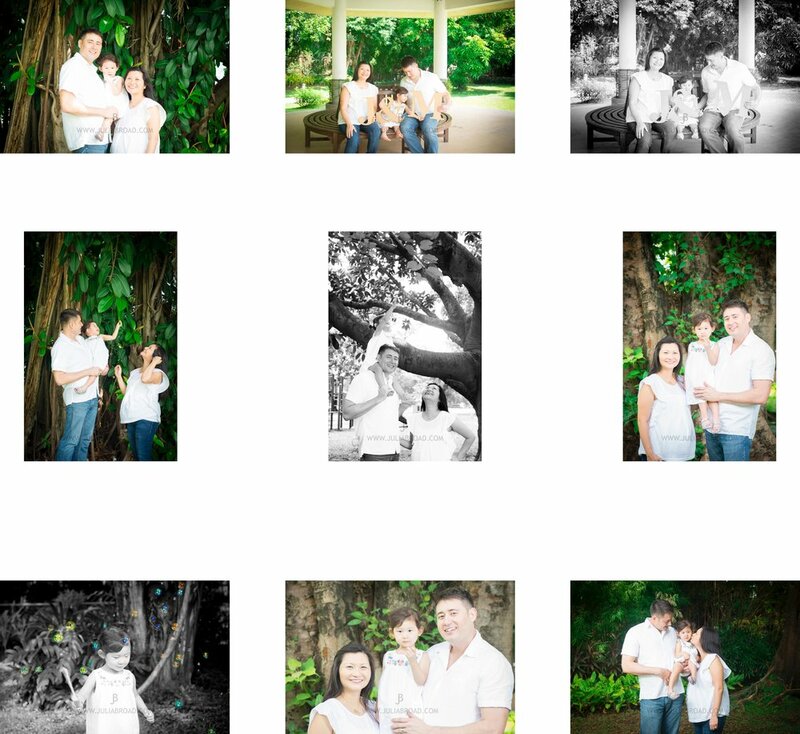 Featuring a family reunion to celebrate a nany girl, a very special birthday party, and a beautiful aussie home session. my second session with this beautiful aussie family in their new home. This session was a two parter - family joined from all over the world to celebrate the birth of this perfect little treasure. One of my largest home studio sessions! An incredible two day session on site at Kings School Manila. 2 days, 160 students, 12 classes and groups. The second time I have seen Mr. Celdran's brilliant one man show - Livin La Vida Imelda. A walk through the history of the Philippines. Witty, political, without compare. Pioneers amongst the Aussies and Kiwis in Manila - after five years this incredible family have returned home to New Zealand. Was an honour to photograph their Farewell to Manila, and very, very sad. A very special birthday for a very special girl. Why go camping when you can go glamping? Complete with treasure hunt, BBQ and themed cupcakes. HAPPY EASTER, AND WHAT A MONTH! FEATURING SOME ABSOLUTELY DIVINE NEWBORNS, AN EASTER BUNNY, AND A TRIP TO AUSTRALIA WITH AN ENGAGEMENT AND A WEDDING! THIS EXQUISITE LITTLE ROSEBUD WAS THE QUINTESSENTIAL THUMBELINA - JUST LIKE SHE HAS WOKEN UP FROM A BEAUTIFUL FLOWER. ALSO THE MAIDEN VOYAGE OF MY NEW GIGANTIC 6 FOOT OCTABOX - IT WAS A HIT. IN MY MIND, I'M A WILDLY FAMOUS PHOTOGRAPHER WHO CREATES MAGICAL WORLDS TO BE LIVED THROUGH CELLULOID - WE CAN DREAM, RIGHT? THUS - EVERY HOLIDAY I LIKE TO TRY TO DO A LITTLE THEME SHOOT IN CELEBRATION. BEHOLD MY LITTLE FRANKIE COTTONTAIL - WHO WAS NOTHING BUT AGREEABLE. HAPPY EASTER! BOTH AN INCREDIBLY MOVING SHOOT AND A HARROWING ONE. THIS IS MY AMAZING BFFS BRAND NEW BABY GIRL. SHOT ON LOCATION IN THEIR HOME IN SYDNEY, AUSTRALIA, I WAS WITHOUT 95% PERCENT OF MY EQUIPMENT AND HAD SPACE CONSTRAINTS. AFTER SOME EXPERIMENTING AND MOVING, OH, MOST OF THEIR FURNITURE, WE GOT SOME TRULY SPECIAL SHOTS, AND SHE WAS AWESOME. AWAKE, BUT AWESOME. ITS HARD TO IMAGINE THAT TEN YEARS AGO, I MET A CRAZY KID AT PURPLE SNEAKERS AND THAT ONE DAY I WOULD PHOTOGRAPH HIS ENGAGEMENT PARTY. TRUE STORY. THESE GUYS REDEFINE MODERN SYDNEY COUPLE. SPECIAL THANKS TO HTTP://TILBURYHOTEL.COM.AU/ FOR THE AWESOME SPREAD AND THE CHANCE TO CATCH UP WITH GREATLY MISSED FRIENDS. ANOTHER VERY DEAR FRIEND FROM WHAT SEEMS LIKE LIFETIMES AGO. SARAH & AARON TRULY CRACKED A MARVELLOUS HARBOUR DAY TO TIE THE KNOT IN FRONT OF CLOSE FAMILY AND FRIENDS. IT WAS AN HONOUR AND A PRIVILEGE TO SHARE THIS MOMENTOUS OCCASION WITH THEM. PS - HAVE A GANDER AT THE COATHANGER! WHAT A VIEW! I used to think I could put on a birthday party, Throw together some dips, string up a garland, i went alright. Then i Met this mother, and i realised i has been sorely mistaken. She is a force of nature. each event is more spectacular than the last. You can't make your friends hire you, but you can plant subliminal images in their head. A milestone for me - photographing some of the most charismatic young gentlemen i've had the pleasure to meet, and bringing fill light to exterior shots. Goboing in the philippines is something i've always battled (it's really sunny, constantly) so this is something i will be doing from now on. Love the hyper green. And the boys skin? They really look like that. Im sure this has happened to me more than once, but this is the only time I can remember, and possibly the time it mattered most. Kids - never, EVERm leave home without your battery charger, or at the very least a charge battery. We were in Singapore for three glorious days, and what do i have to show for it? Our murky, overcast boat cruise. Did I mention it was the end of Chinese New Year? I can barely talk about it. If, by some stroke of fate (you lucky devil) get the opporutunity to go to Siargao in Northern Mindenau, grab it with both hands and never let go. I've had some amazing holidays in the Philippines, but this was by far the mostest awesomest ever. Special thanks go to the amazing team at http://luxsiargao.com/ for a truly wonderful getaway. A new years baby, and a first for this beautiful couple - a perfect little petal of a baby girl. Love the scale of her hand against her father's - newborn magic. 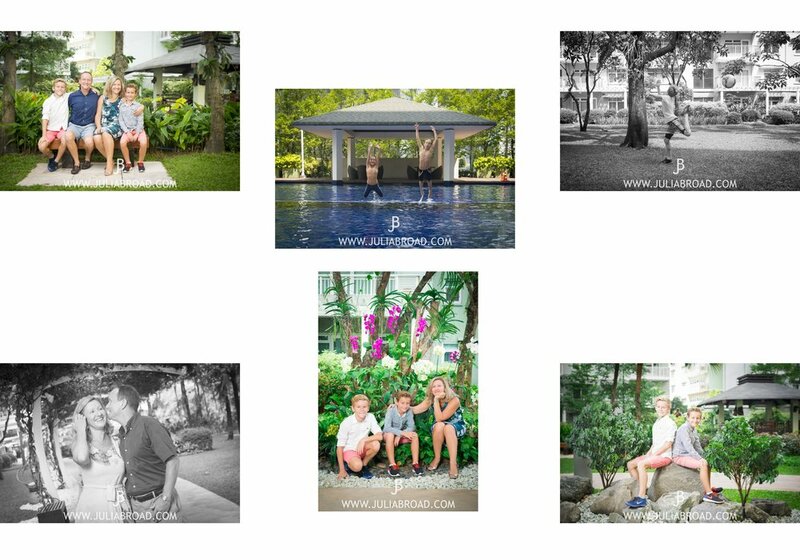 I've had the pleasure of photographing this gorgeous family before - and now there is a new member! Parnets visiting from afar, and welcoming a new baby boy. Absolute delight. An honour and a delight - one of my first friends when i moved to Manila almost three years ago. Through holidays, birthday parties, trampolines and dress ups, I love this family, and this is one of my favourite shoots of the past twelve months. I love kids being kids - and these guys have that in spades. Combing two of my favourite things - weddings and a cheeky lunch at Antonio's. These guys were married in Auckland before Christmas, and I was so honoured to capture the Philippines leg of getting hitched. A spectacular setting with newly found, yet steadfast friends. YOu know how JANUARY is technically winter in the philippines? not this day. this day was hot. darwin hot. singapore hot. this awesome bunch of aussies came to visit their favourite sister and aunt who has been living in manila for some time. luckily they were absolute troopers. some shoots have tears, some shoots have laughs, and some shoots are an absolute joy, from beginning to end. this is a family reunion of brothers, sisters, NIECES, nephews, cousins and GRANDPARENTS from three continents. 15 subjects, 8 adults, 7 kids. extraordinary effort from these guys. I once heard that when man makes plans, God Laughs. I had very grand plans for my blog in 2015. Virtual tours, behind the scenes, live interviews, videos! So many ideas So! So much growth! And it didn't happen. I couldn't understand it - EVERY TIME i had this amazing idea and sat down to do it, i just couldn't. I had this CREATIVE ROADBLOCK which i could not get around, no matter how hard i tried. So i examined the problem. What do i do? I take photographs. What do i want to be doing in five years? Take the best damn photographs I can, and keep getting better and better and better. What you will see here is a REFLECTION of what i do - month to month, highlights of my shoots, my wonderful clients and how i approach different scenes and challenges. Thanks to my generous, supportive subjects, models and families for their creativity, warmth and encouragement. It all comes down to you.